This Post has already been read 931 times. It is no secret that today’s lifestyles are more hectic than ever before – with many people trying to balance work, families, friends and hobbies. Throw house-hunting into the mix and 24 hours just does not seem like enough time. Finding the perfect property, organizing and attending viewings, and negotiating with sellers can seem overwhelmingly time consuming when you are constantly on the go. Pakistan’s best property portal Lamudi.pk has compiled a list of top tips to help house-hunters to find their dream home on the move. Make sure you have the app for your favorite house-hunting websites downloaded to your smartphone. Instead of bookmarking your preferred sites, create one folder on your phone for all property-related activity, such as maps, to-do lists, and classifieds apps. 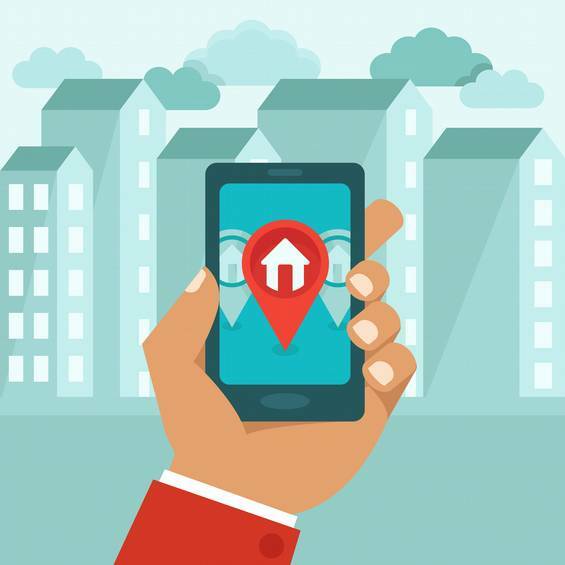 By using apps, you have all of your favorite houses and apartments in one place, with no fear of losing the details or forgetting the features. Sign up for email alerts when any new properties meeting your criteria are added to the property website or app. This will save you time having to trawl through the hundreds of new properties added daily, highlighting those most relevant to your search. This way, you can keep up to date quickly and easily, as well as stay aware of the average cost of properties in your desired location with the same features. Using a house-hunting app, you have the option of changing your preferences with the flick of a finger or the click of a button. When searching, use filters to change the features you are looking for, such as specifying your wish for an in-built kitchen or fully-furnished living space to see what is on the market. This will help you to narrow down your search, and reveal options that you may have otherwise overlooked. Reach out to a real estate agent to help you with time-consuming logistics, such as organizing viewings and negotiating with sellers. An agent will have the expertise and experience to advise you on suitable properties, whilst sharing knowledge on the best neighborhoods, and most reasonable prices. This will save you hours of research, and clear up any confusion you may have, for example regarding average sales or rental costs.